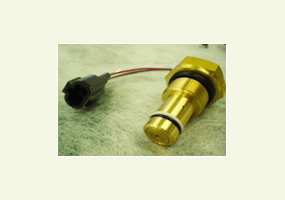 Motors / Sensors | KYB Trondule Co.,Ltd. 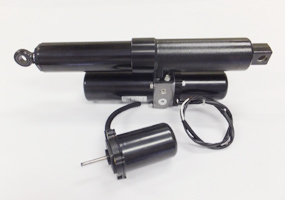 A hydraulic linear actuator integrated with electric motor, hydraulic pump, valve and cylinder. It is used in many areas for power-saving, automation and improvement of housing and office environment. Plunger tipped with a magnet is subject to pressure and displaces according to the pressure. Hole I fixed in a chassis on the board generates output voltage in proportion to the distance from the magnet, and by comparing it with reference voltage it produces ON/OFF output.